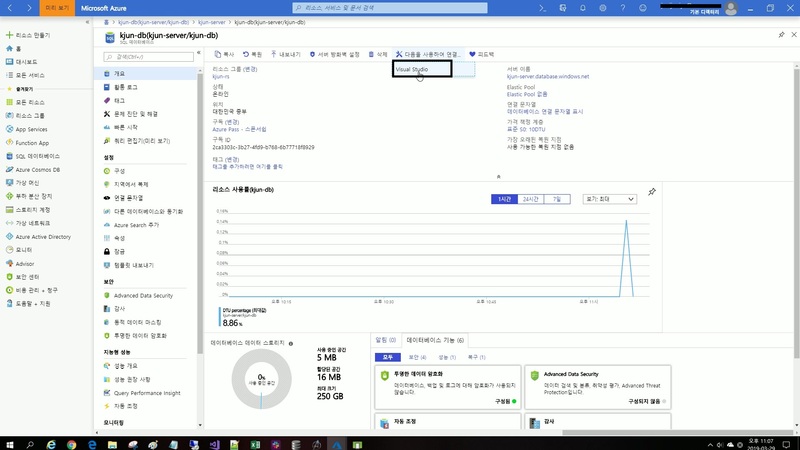 apple 앱 업로드 후 아래 처럼 메일이 왔다..
We identified one or more issues with a recent delivery for your app, "미세모아". 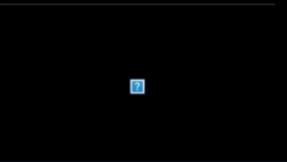 Please correct the following issues, then upload again. 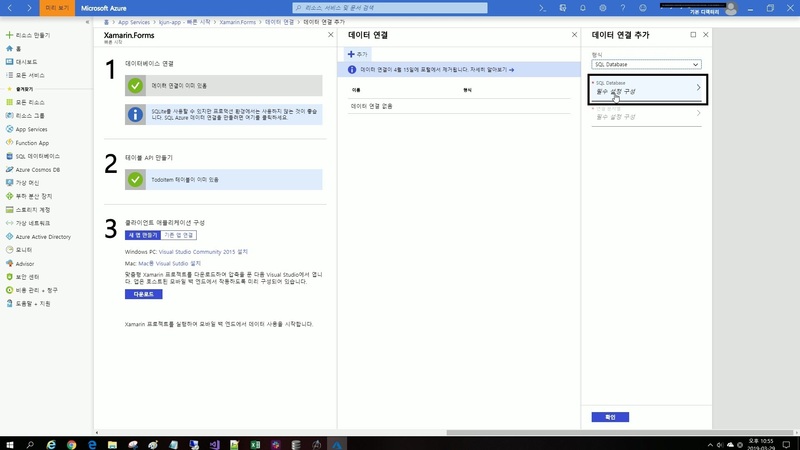 기존 출시 했던 앱들과 비교해 보니 '국제화' 부분이 문제였다..
cjk 를 체크하고 빌드후 업로드 하니 제대로 업로드가 되었다. 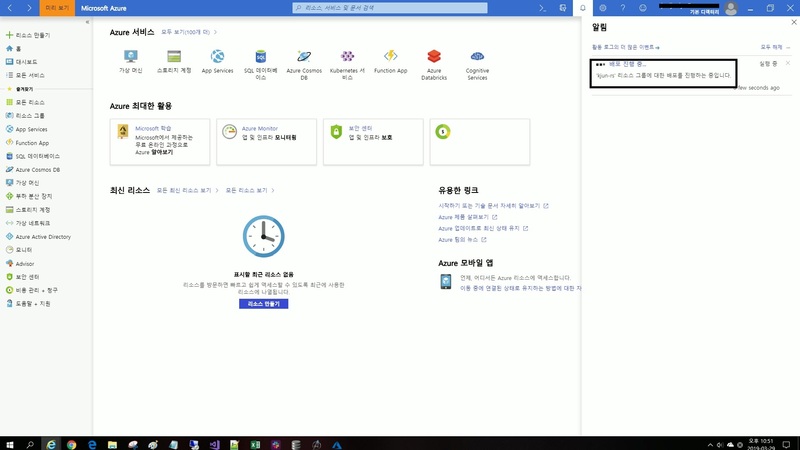 아래는 iOS 빌드 설정 화면이다. 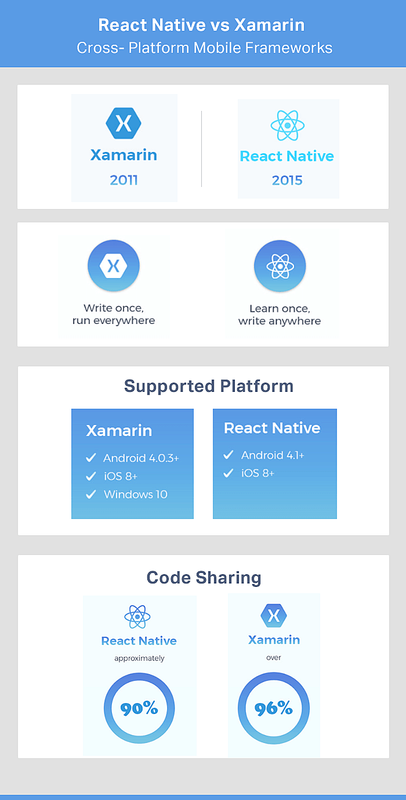 Two of the popular cross-platform frameworks includes React Native and Xamarin. The year 2018 was stellar concerning apps that were produced in any defined year and most of these applications were developed using these two influential cross-platform mobile app development frameworks. iOS applications have always used Objective-C and Swift programming language whereas, for Android the programming language is Java. And, if we talk about the trend in the modern app development domain, it is shifting greatly with the introduction of new and innovative tools. 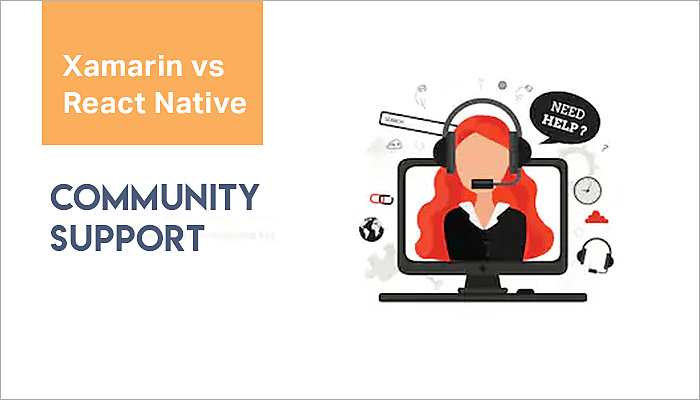 For your better understanding of Xamarin and React Native, we have stricken a fair comparison titled ‘Xamarin Vs React Native’ which highlight the significant differences between the two frameworks. Xamarin is a cross-platform framework for the implementations of the Common Language Infrastructures. It came into the market in 2011 and was acquired by Microsoft in 2016. 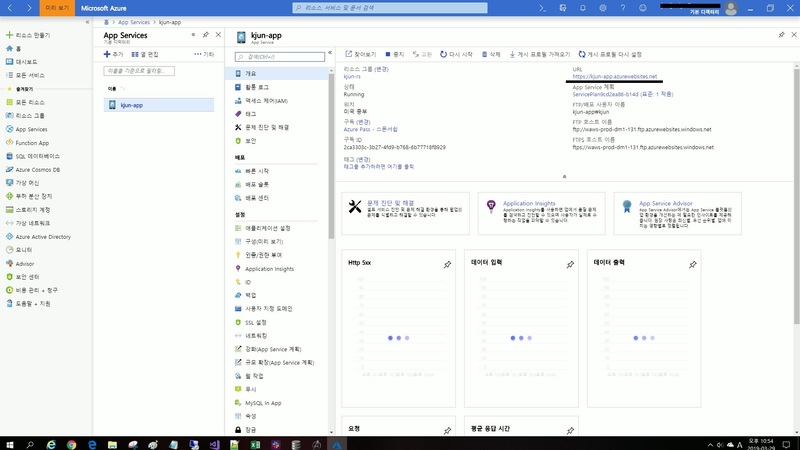 Xamarin has an armory of tools that can be handy for developers to build cross-platform mobile apps. 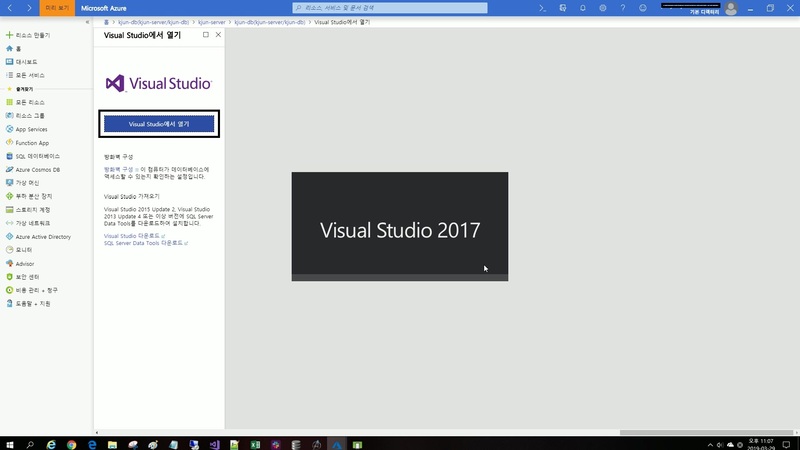 Xamarin app development framework lets the developer create Android and iOS apps with Xamarin tools which can be downloaded with Visual Studio. Due to its excellent functionalities, Xamarin is deployed by more than 15,000 companies. To put it simply, the developers can develop mobile apps with full look and feel of “native.” The best part of React Native app development framework is that due to its code-sharing ease, an app can be simultaneously developed for both Android and iOS. Now let’s talk about the uses of React Native framework, as it works on the modern one-way data flow. This app development framework is productive in a marginal way. 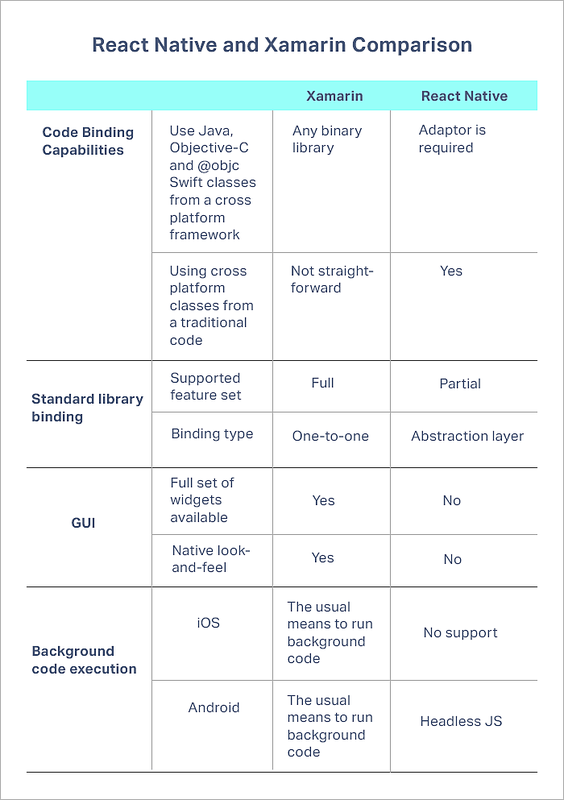 Recently, some changes have been brought to the framework, particularly in the JS development ecosystem. And thus if you are someone who loves Java then you are sure to love this too. 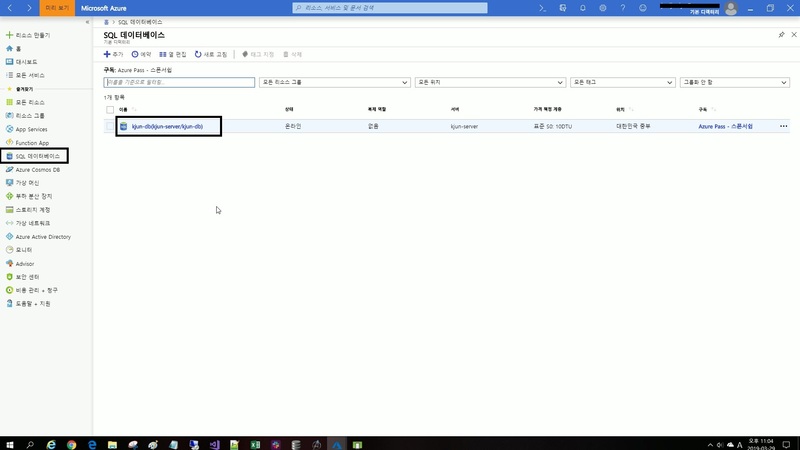 Xamarin also provides great offerings for the application developers and programmers who work on ASP.NET MVC, Web Forms, or other MVC platforms. This language works exceptionally well on the prescribed platforms and thus a number of developers like to work with this particular framework the most. Another offering for the developers is that the Xamarin framework offers functionality to integrate well within the MVVM a.k.a. 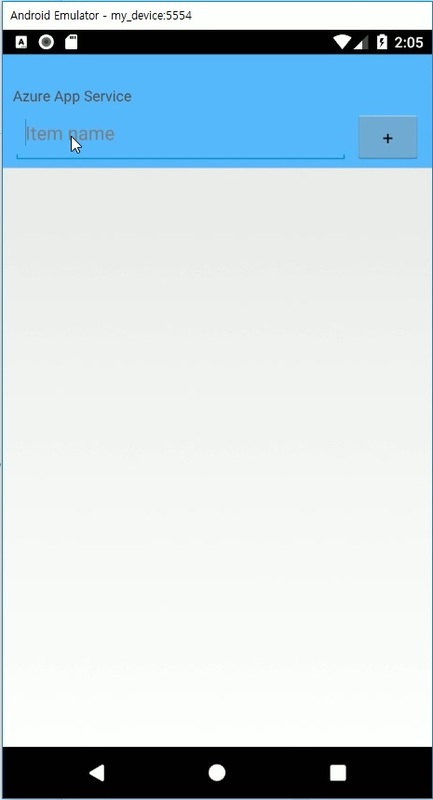 ‘Model–View–Viewmodel’ framework style. Verdict: Owing to the functionality factor that both of these frameworks offer, this has to be a tie between the two. The best thing about the components of React Native is that they offer Integrated Development Environment which is also known as IDE to the developers. The developers can then also use Expo to debug and develop a React Native application. Hot loading is another great feature that developers can use while working with this development framework. 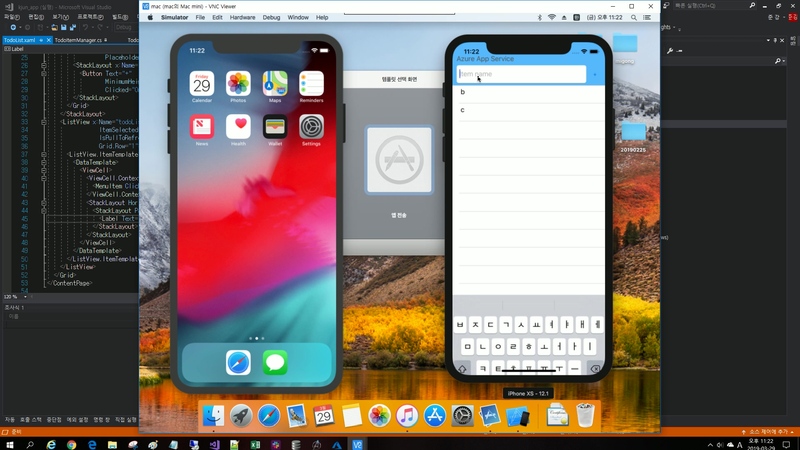 Xamarin is powerful in this context because here the developers can write their code for an iPhone app even on Windows and then compile the same for Mac. And that makes it the best choice for the app developers. However, programmers/developers would need a platform that they would utilize for the built. And this process is actually quite powerful for that. Verdict: Depending upon the functionality, we declare Xamarin as the winner here. However, the community support of developers is there for the language but is not as extensive as the support available for other programming languages. If we talk about the support, this cross-platform framework has got great support from the community forums. Xamarin is used by companies like Coca-Cola and Gummy Drop. Moreover, there are additional sources like Stack Overflow that offers huge support to Xamarin. While working with the programming language a developer can find great information from the different sources. With the availability of Xamarin Forms, the developers can share visual elements and part of the codebase, it in turns, helps the overall Xamarin community with a lot of tips, tools, and data. Verdict: Owing to the functionality, Xamarin is declared the winner. React Native does offer ready-made codes, but there are chances that the codes which are available today can have a better version in the near future and nobody wants their app to get outdated so soon. So, it makes more sense, if the developer defines the components in the first go, which he wants to embed in the React Native app. Still, if the developer is willing to use the code, he must update it once the better version arrives or the codes can be replaced altogether; thanks to React Native’s component-level modularity. 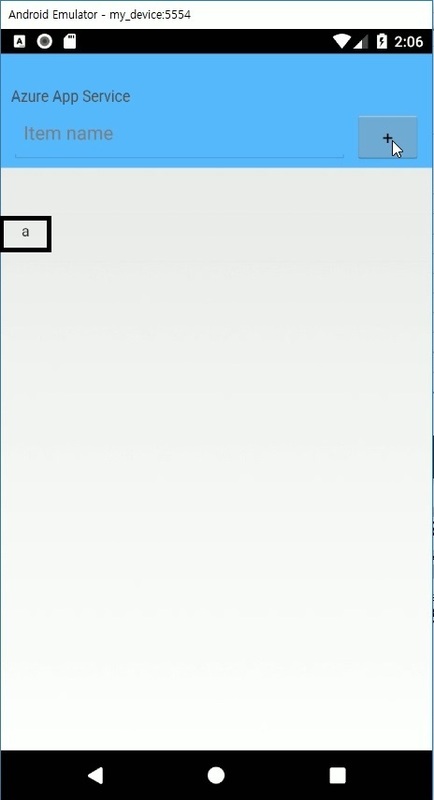 Sometimes, the Xamarin codes can be complex, but there is a high probability that a developer can find similar codes related to their projects, especially when if someone is searching for coding buttons with very specific characteristics. For the community assistance, Xamarin team themselves share various ready-made components and codes at regular intervals of time, which further aid the developers to come up with beautiful and functional apps. 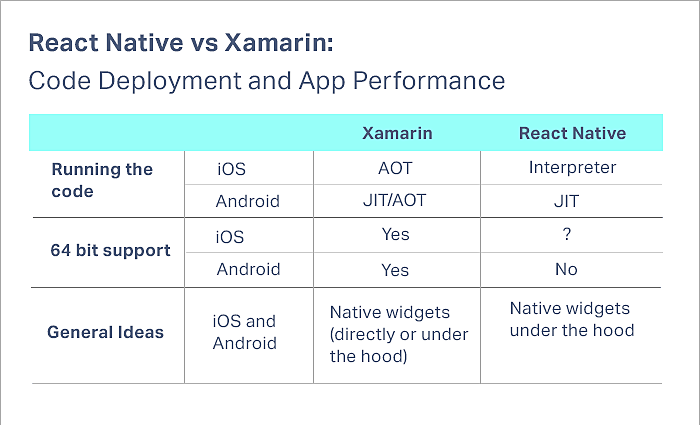 In general, there is not much difference in the app performance developed using React Native and Xamarin. Still, if you wish to know the difference, we have to deep dive into the technical aspects of performance and deployment. 64-bits support: It’s a universal fact that an architecture based on 64-bit code performs better than 32-bit code. And, React Native doesn’t support 64-bits Android apps, which of course is a downside for it. On the other hand, Xamarin easily supports 64-bit architectures. 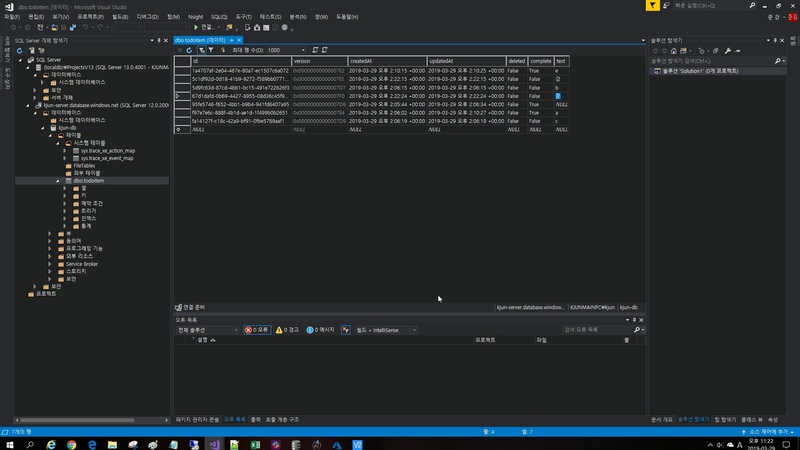 Ahead of time (AOT) compilation: As the name suggests, all the codes are compiled well before the processing of the app. 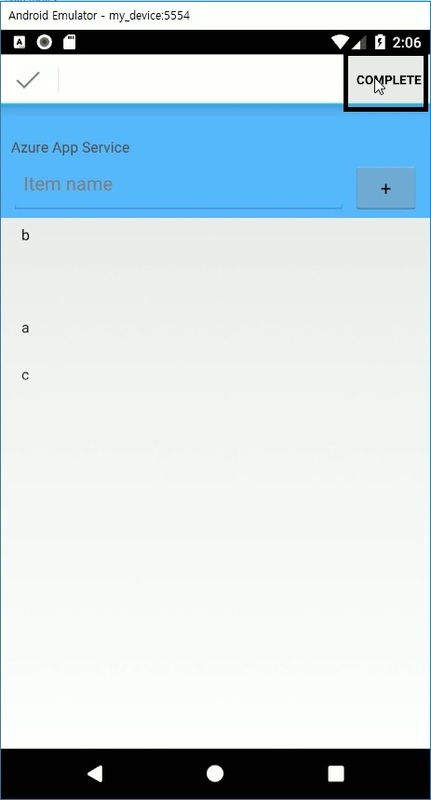 It can be used in Xamarin for both iOS and Android apps, but React native clearly lacks here. 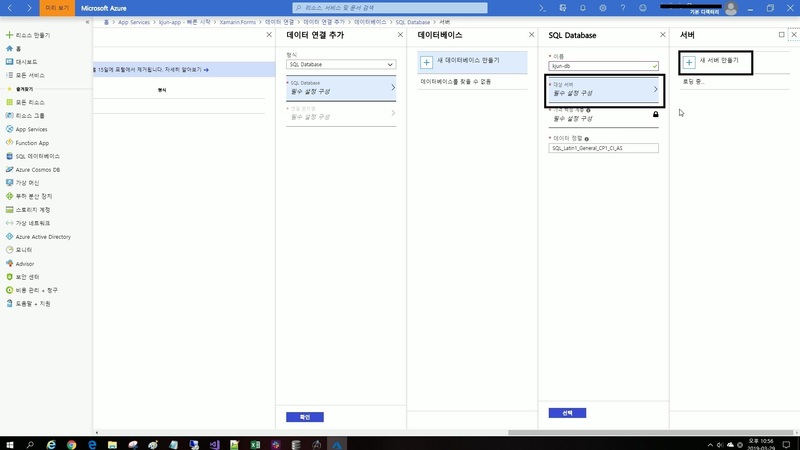 Talking about Xamarin, this cross-platform framework uses C# along with using JIT compilation and AOT (ahead of time) compilation. Owing to the fact that iOS prevents the JIT compilation, Xamarin AOT is used to compile the application. The platform takes JIT as the default compilation but it can also be configured to Ahead of Time compilation. Verdict: This fair comparison makes us declare Xamarin framework as the winner in the compilation race. With time, the compilation of Xamarin apps increases and if there is some bigger project, more time is required for the compilation. And all these factors can directly impact the project time and cost. 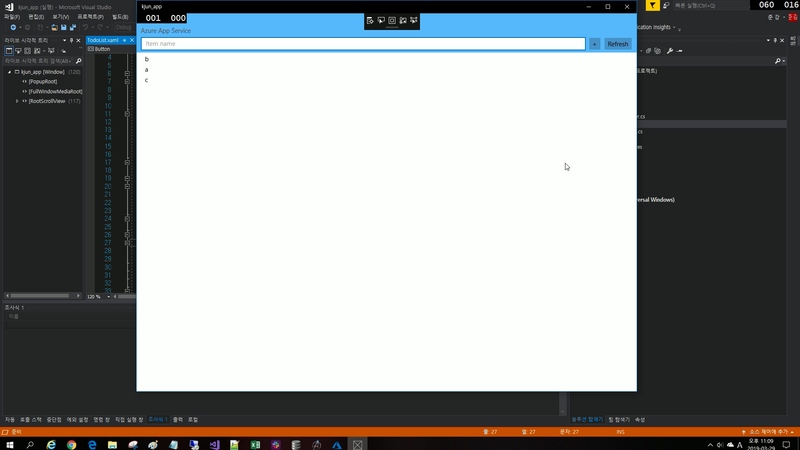 To bypass this, the developers can go for the Gorilla option, which allows faster Preview of the UI while coding. 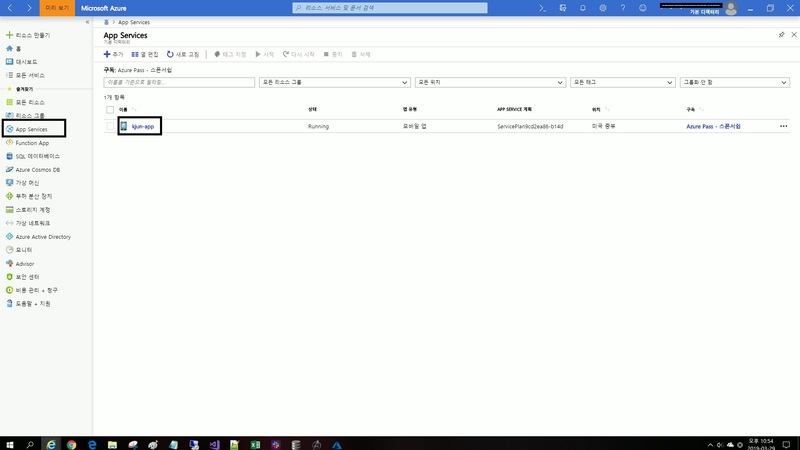 Testing tools like NUnit and Xamarin Test Recorder can be used to test cross-platform UIs. 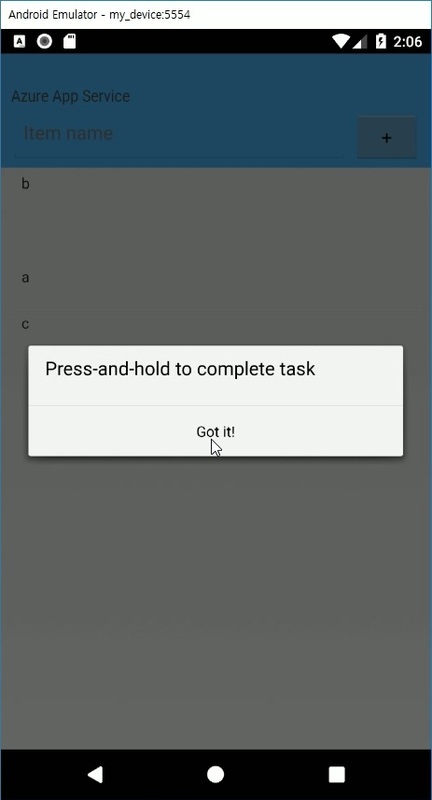 Both of these tools let the developer create the test which they wish to execute. 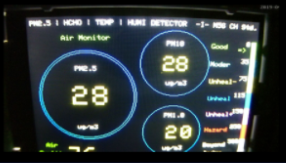 For wider ranges of devices, Xamarin Test Cloud can be brought into play. 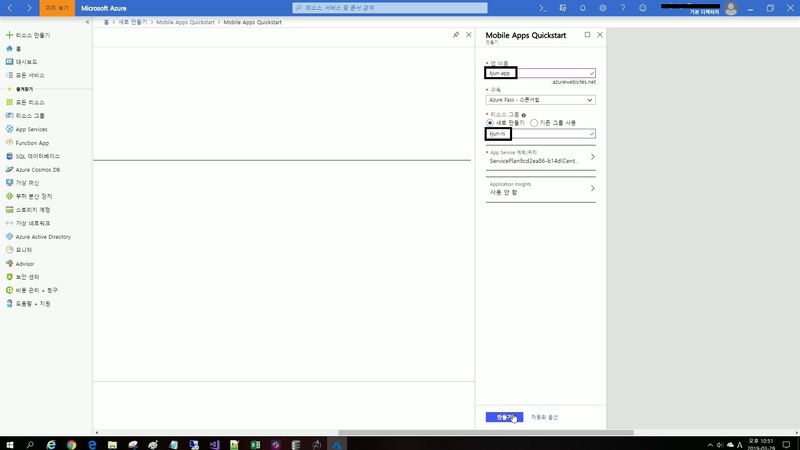 Verdict: Both React Native and Xamarin are on the same page regarding the testing tools. UI remains one of the significant factors while developing an app, as the developer devotes much of the time during the UI designing. Regarding UI, React Native is similar to Xamarin.Forms as both these frameworks use native widgets and implement UI once. But as compared to Xamarin, React Native let the developer customize visual components and cut down the requirement of custom renders. 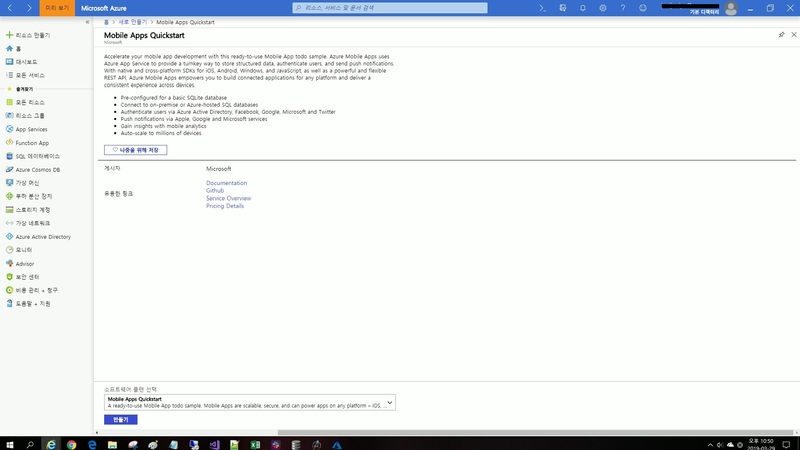 With Xamarin, the developer can design the UI in a platform-specific way or through Xamarin.Forms. 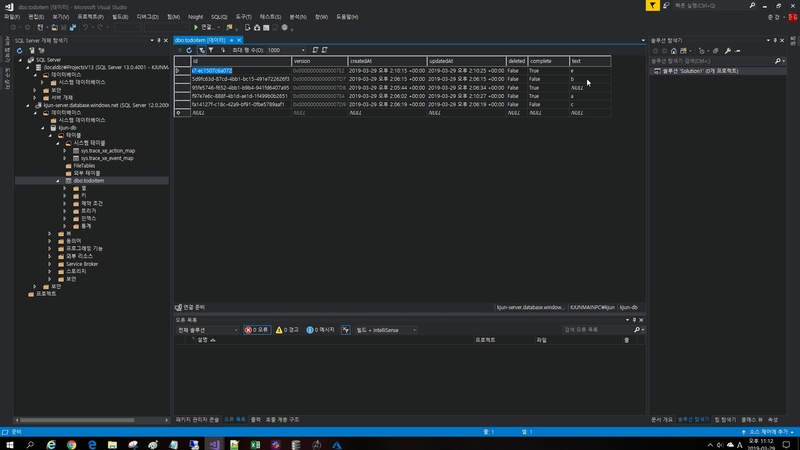 For the greater flexibility, Custom Renderers can be deployed when the exact same look is desired across platforms. However, it takes time in the implementation while generating the Custom Renderers. Verdict: Thanks to native tools and Xamarin.Forms, Xamarin takes the crown. How To Choose Right Tool For Cross-Platform Mobile App Development? 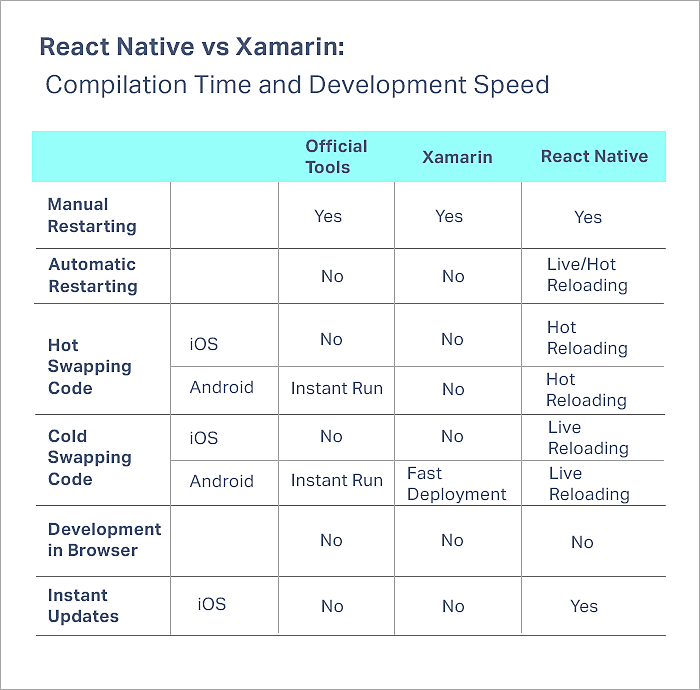 The race of comparison between Xamarin and React Native ends here and by looking at the overall comparison, Xamarin does take a lead, but React Native is equally competitive. Both of these frameworks i.e. 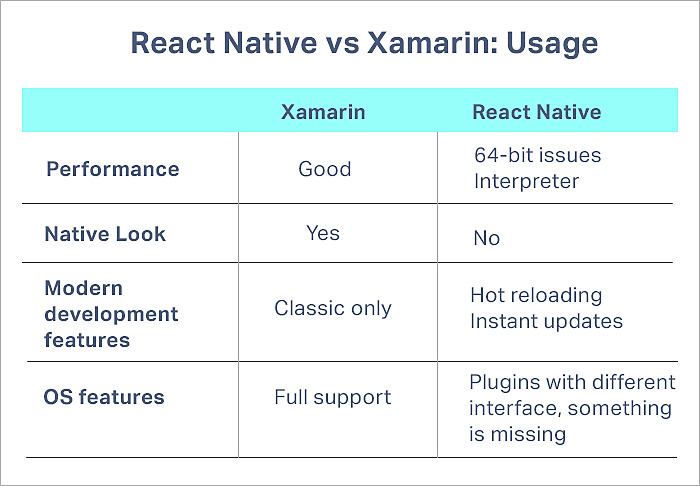 Xamarin Vs React Native are exceptionally well when we talk about the features and the functionality they have. The choice of cross-platform mobile app development framework depends upon the app requirements, functionalities, and features. Every framework has its pros and cons, therefore, as per the need, the framework should be picked. We really hope that with the help of this article, we were able to clear up some of your doubts regarding the development of cross-platform mobile apps. To read more interesting articles on technologies related to app development companies, subscribe to MobileAppDaily. 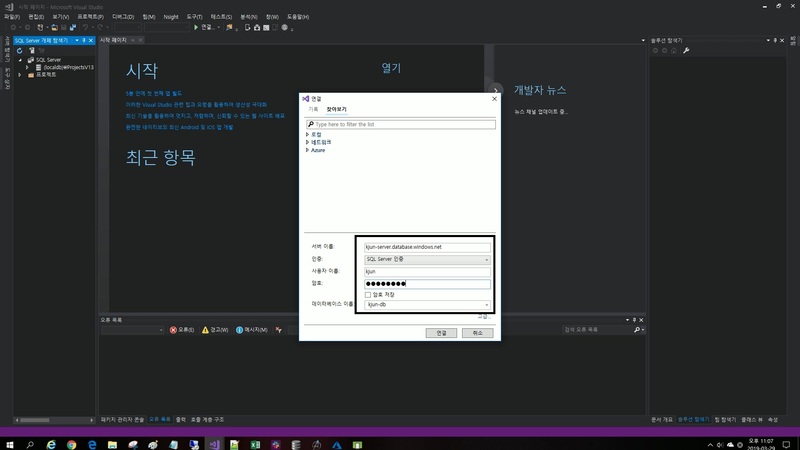 Effective c# 정리 2. const 보다는 readonly가 좋다. 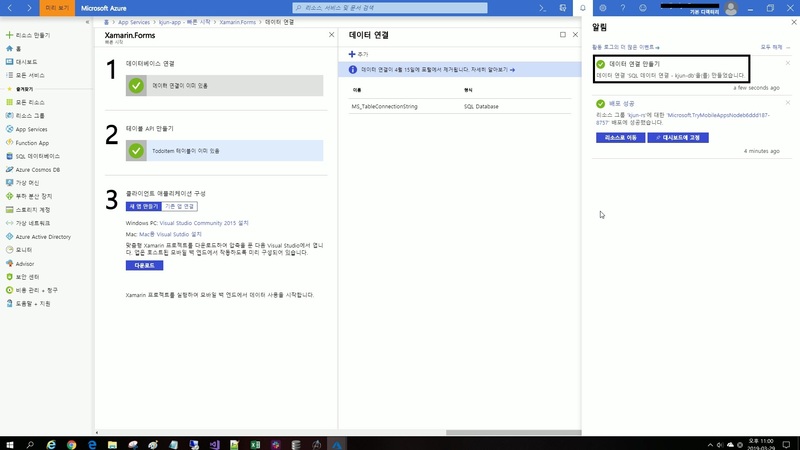 const 컴파일 상수는 성능이 매우 중요하고 상수의 값이 절대로 바뀌지 않는 경우만 제한적으로 사용하는 것이 좋다. 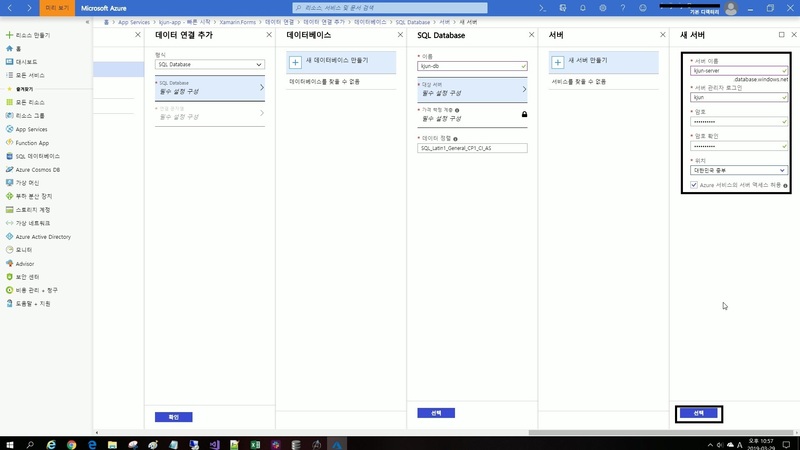 - const 에 비해 느리지만 유연성이 좋다. 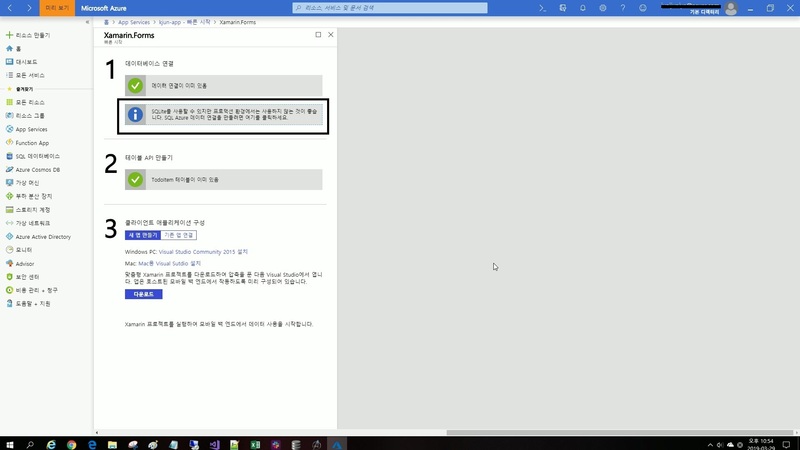 - 어떤 타입과도 함께 사용할수 있다. 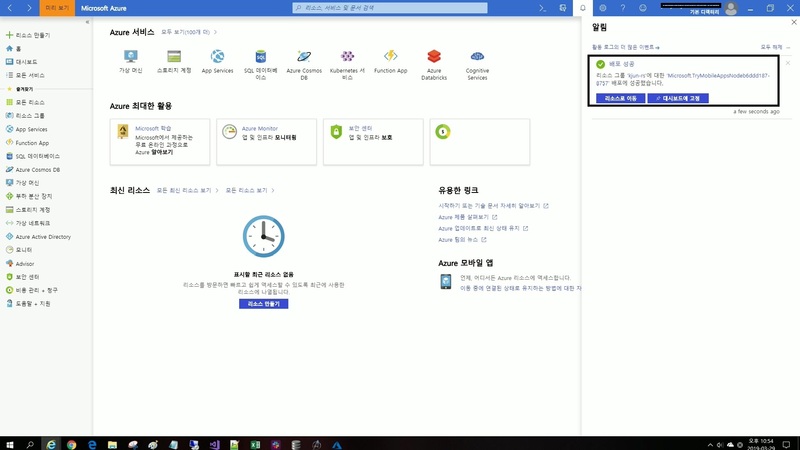 - 메서드내에서는 선언할 수 없다. 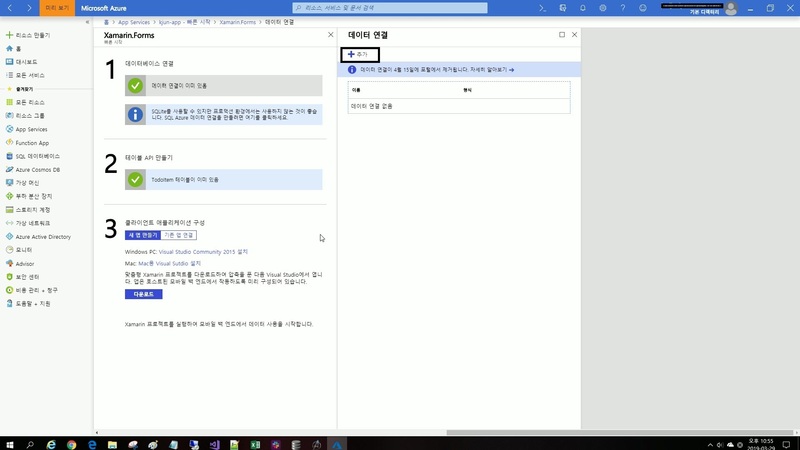 - 클래스별로 서로 다른 값을 가질 수 있다. 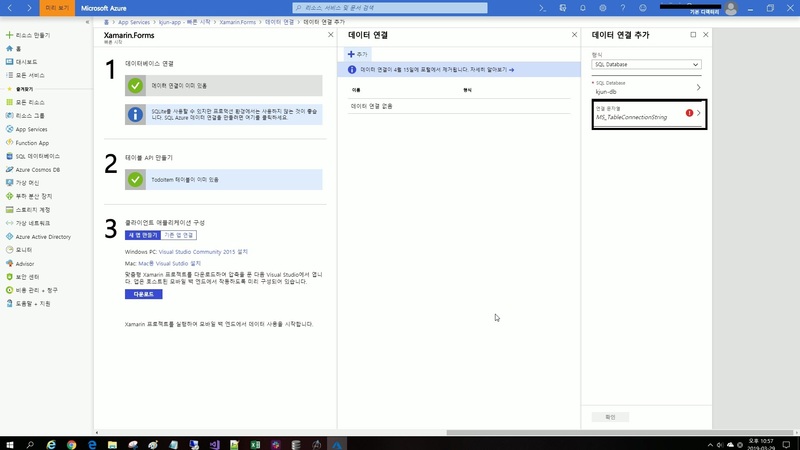 - 값을 변경 한 경우 리빌드 하지 않아도 런타임시 값을 참조하기 때문에 어샘블리만 리빌드 되어있으면 변경된 값을 가져올수 있다. 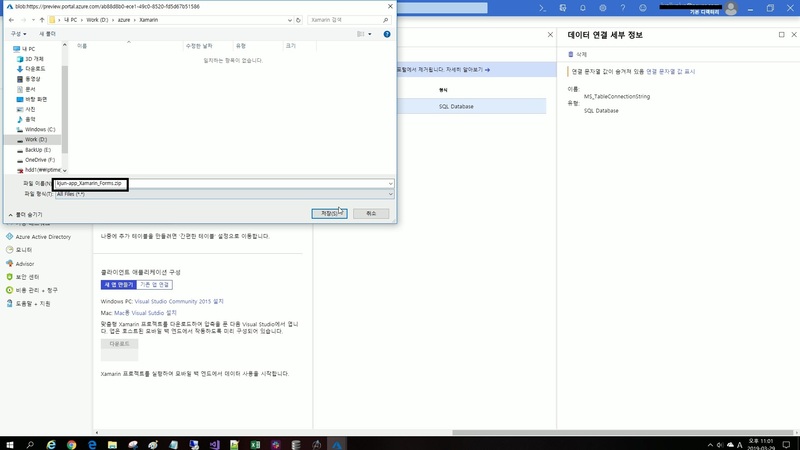 * 런타임에 값이 평가되어 값을 가지지 않고 상수에 대한 참조 컴파일 된다. 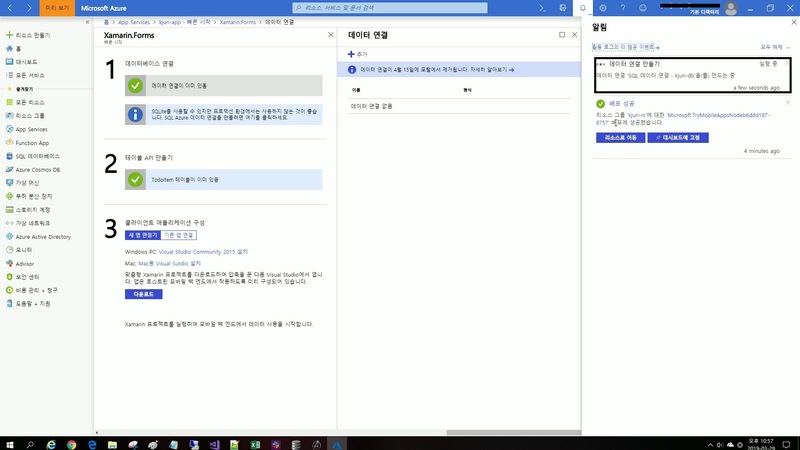 * 맴버 초기화 구문뿐 아니라 생성자를 통해서도 초기화 가능하다. 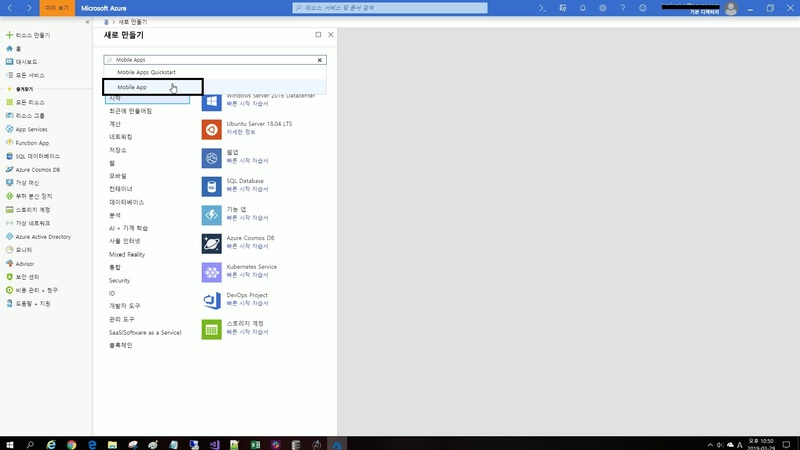 - 속도가 빠르고 변경이 불가능하다. 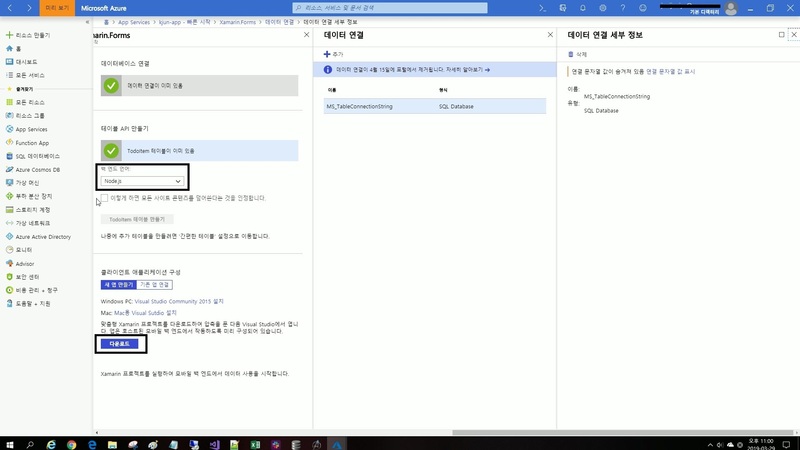 - 내장자료형(primitive types)과 enums,string으로만 사용할 수 있다. - const. 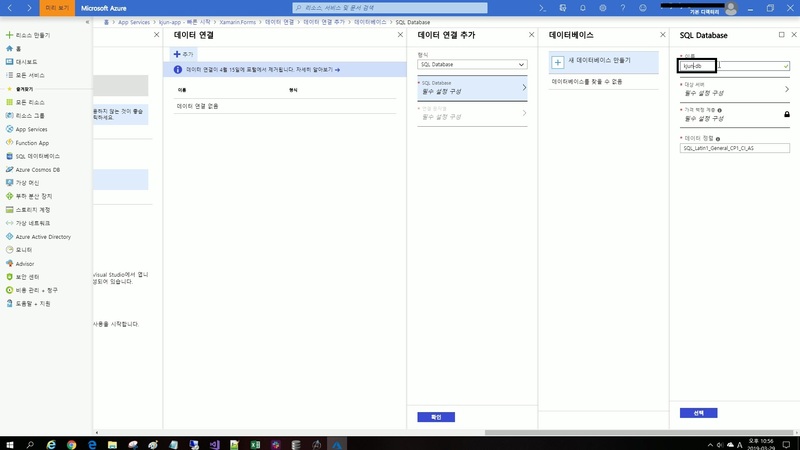 컴파일 타임 상수는 메서드내에서 정의될 수 있다. 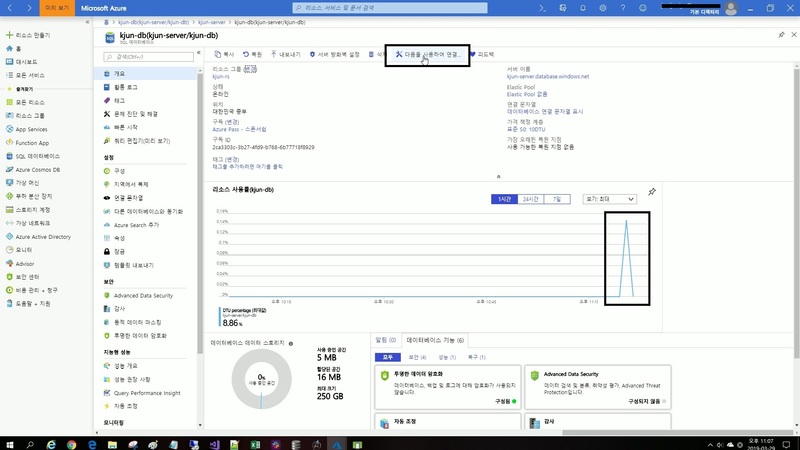 - 하나의 값만 가질 수 있다. 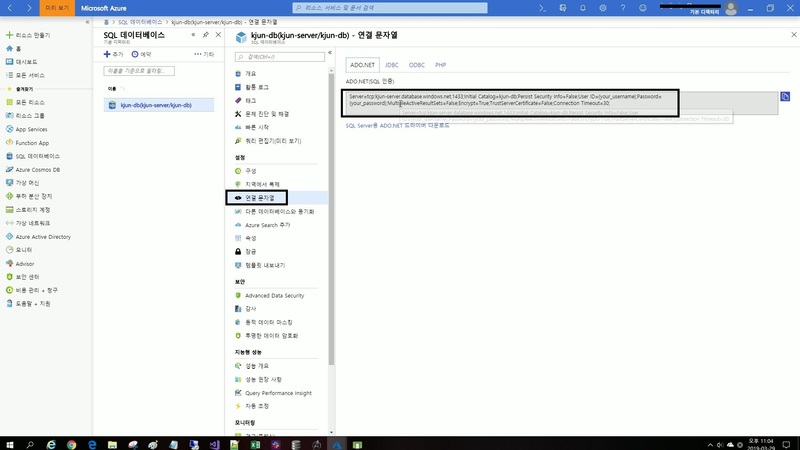 - 값을 변경 한 경우 리빌드 해야함 참조한 프로젝트에서 변경된 값을 가져올수 있다. 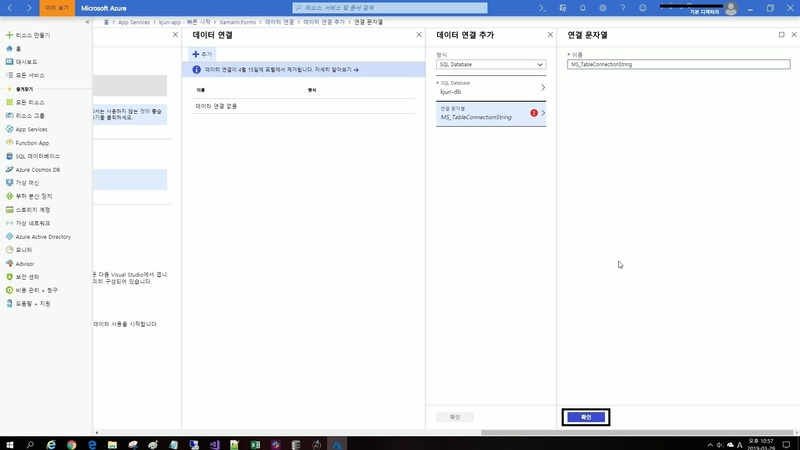 Effective c# 정리 1.지역변수를 선언할 때는 var 를 사용하는 것이 낫다. 1. 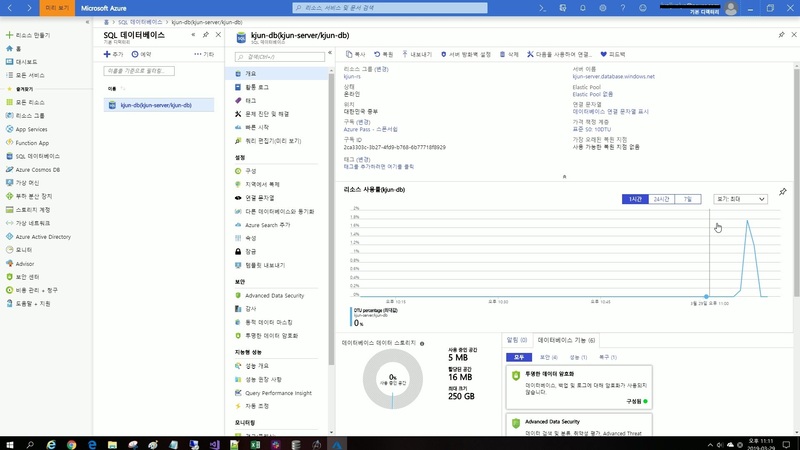 지역변수를 선언할 때는 var 를 사용하는 것이 낫다. 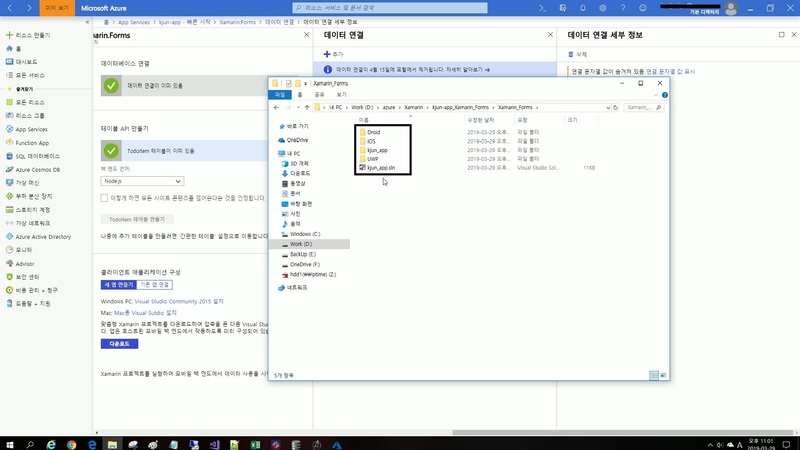 변수의 타입보다는 변수의 의미파악에 더 집중할 수 있게 한다. 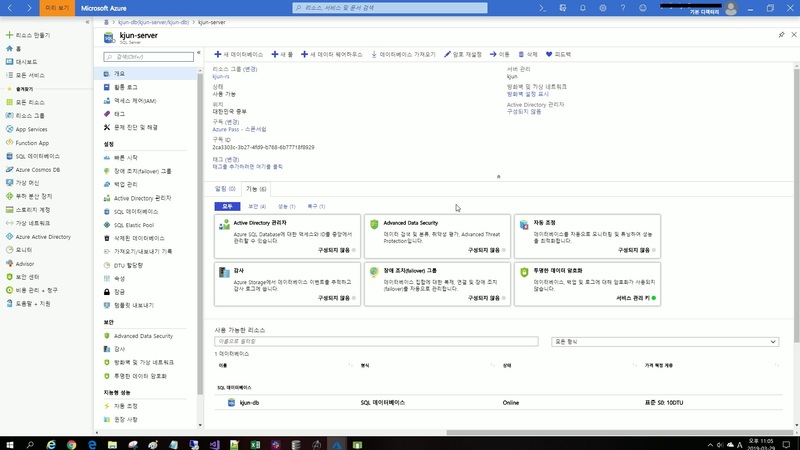 명시적으로 써도 가독성은 불편한건 마찬가지이다. 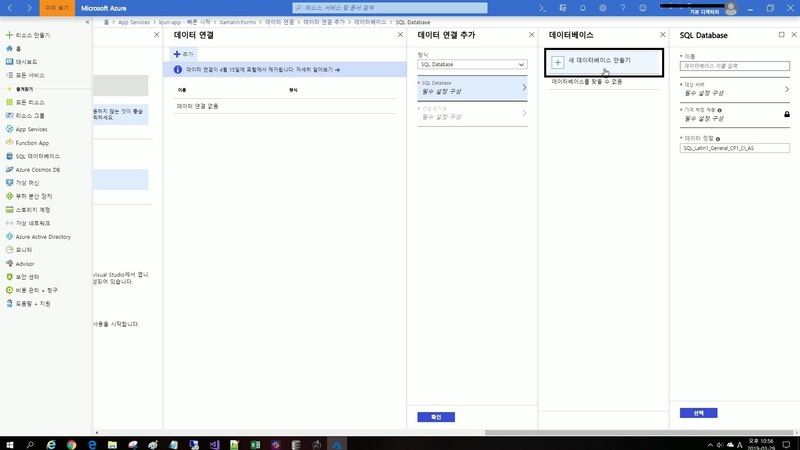 위 에러는 리소스 문제일 가능성이 큽니다. 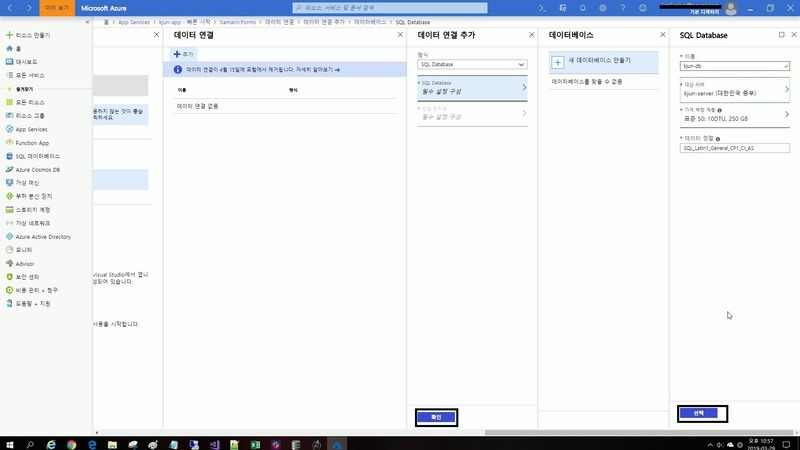 매번 Create 해서 발생된 문제였습니다. 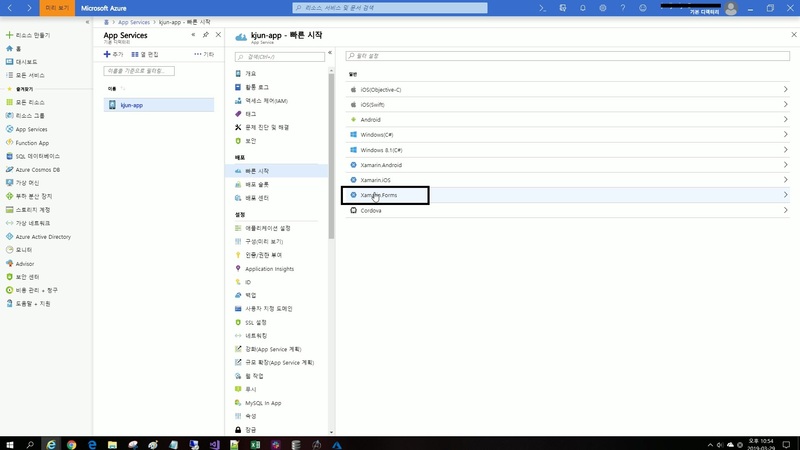 아래 처럼 변경하니 에러가 해결되었습니다. c# 8 에서 부터 지원되는 문법으로 아래처럼 사용할 수 있다. 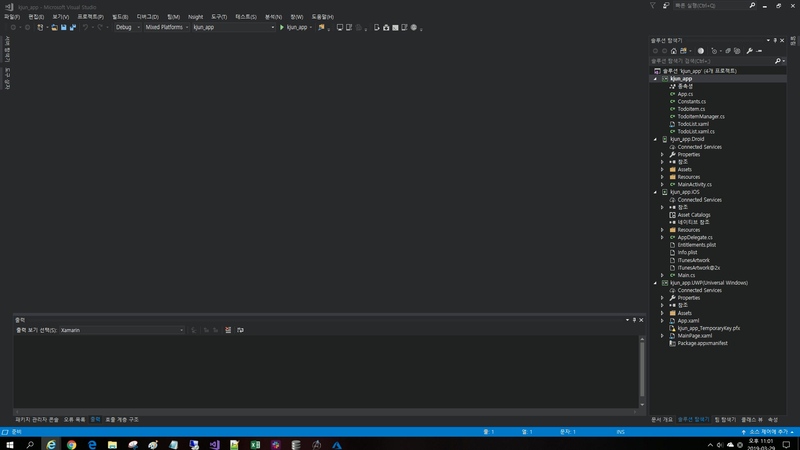 string s = "Hello, World! "[..^8]; // "Hello"